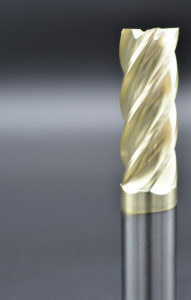 Do your cutting tools head south much sooner than you would like? Are you going through them by the gross? Is their performance less than satisfactory? If you answer yes to any (or all) of these questions, you might want to take a look at what kind of coating is protecting your tool. Cutting tool coatings are designed to improve wear properties via higher hardness, increased thermal stability and reduced coefficients of friction. The right coating can vastly improve overall performance and increase productivity, and new coating technologies are hitting the market every day. Matching the proper coating to an application is key for maximum performance. There are a lot of variables including the application, geometry, profile, substrate and machining environment (wet or dry). For example, Aluminum-based PVD coatings typically perform best in stable high temperature environments. Therefore, when used in a wet machining environment, a stable machining temperature is impossible to realize due to the natural hot/cold cycle that accompanies wet machining. In contrast, Chrome-based coatings don’t require a reaction between Al and the heat to extract the coatings potential. They perform just as well wet as they do dry. We won’t go into it further here because the variations are endless. Our in-house coating facility provides fast turnaround on coated tools, with a wide range of standard PVD coatings. If you don’t see the one you’re looking for, we can even start with your particular application and formulate a custom coating for you via our in-house resources or with one of our many coating partners. If you’re not familiar with the process, coating a cutting tool is a bit more complex than many realize. Physical Vapor Deposition (PVD) is a vacuum coating process of vaporizing a solid metal to a plasma of atoms under high temperatures, that are subsequently deposited on tools to create a high performance coating. Coating properties such as hardness, structure, heat resistance and adhesion can all be precisely controlled. The coating centers, or vessels, can hold are large amount of tools (the smaller the tool the more it can fit) and uses a rotating pillar system internally to hold the tools during processing to ensure even coating adhesion (think of the inside of a watch). While there are multiple methods for PVD coating, like arc evaporation or sputtering, all utilize targets composed of the base materials the coating itself is composed of (Titanium, Aluminum, Etc.). These targets are hit with high levels of energy to atomize the material, and in combination with reactive gases like Nitrogen, are deposited on the tool substrate. Primary components to any PVD process are heat, pressure and time. And like any good recipe, the best results are typically a combination of both the cook, his recipe and his oven. As you can imagine, these coating vessels are not inexpensive. We’ve invested in them so we can control quality and cost while still being able to deliver quickly when our customers need it. However, we also work with a wide range of coating manufacturers, who obviously have vessels of their own. We do this because our core belief is predicated on providing the absolute best tool for any given specific application. If this means a coating we have internally isn’t the best fit, we look externally to our partners for the right one to produce the best results for our customer. 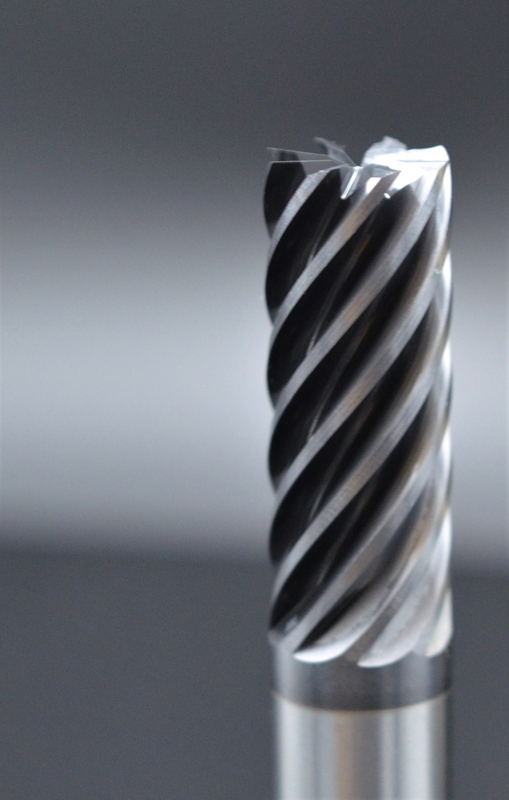 For example, our machines can typically coat to a thickness of 1.5 to 3.0 microns, but if the application demands a thinner coating (micro tools for example), some of our suppliers can go down to one micron for such applications. We work with companies both big and small in order to keep current with all the latest evolutions in coating technology on the market. We can pass on the benefits of this research and networking to you. The important thing to us is what works best for your unique application. If you regrind your tools, obviously the coating will need to be reapplied. We can help with the grinding and the coating – even if it’s not one of our tools. In fact, by using our geometry and coating resources, we frequently give customers reground tools that yield better performance that of the original tool. Thanks to our relationships and buying power, the variety of coatings we can offer is virtually unlimited. 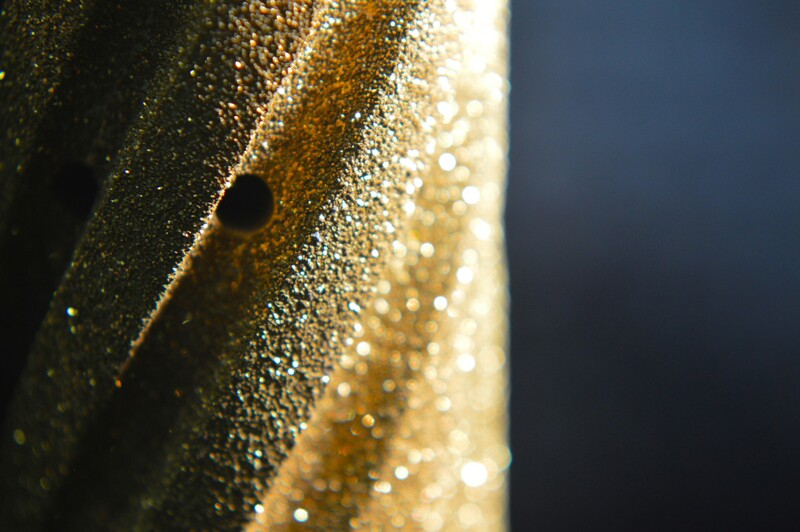 Combine this with our experience in grinding cutting tools, from drills and mills to PCD inserts and forming tools, we have an extensive library of programs that can be applied within the area of regrinds to enhance nearly anyone’s tool. At GWS, we like to say that we have all the flexibilities of the little guys, but with all of the production capacity of the big guys. Let us put that combination to work for you. Contact Us today.